Or view larger version. 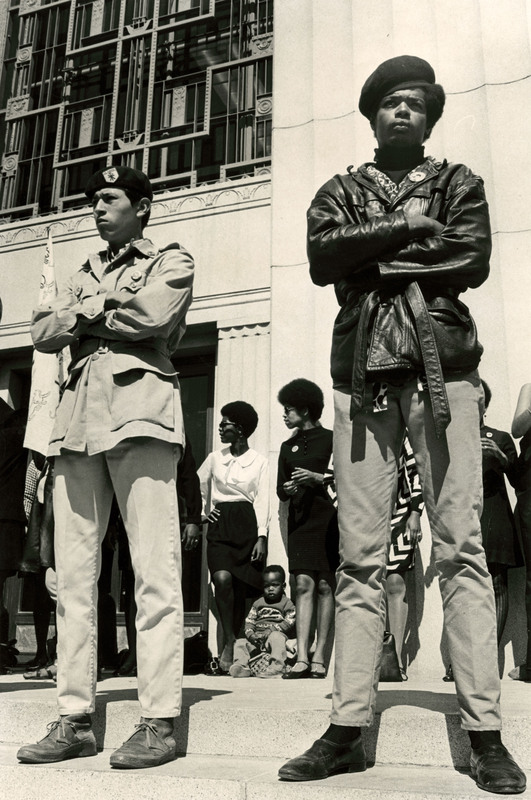 Two Black Panther men standing on the steps of the Alameda County Court House during Huey P. Newton's trial for murder. July 14, 1968. Lonnie Wilson, photographer. Gelatin silver print. Collection of Oakland Museum of California. The Oakland Tribune Collection. Gift of ANG Newspapers.